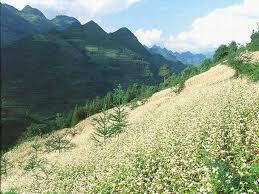 Sapa is situated in the country’s northwest at an altitude of 1,600 meters. In the early 20th century the French took advantage of Sapa's cool climate, developing it into a summer retreat from the heat and humidity of Hanoi. Today, Sapa town still retains its European feel, largely due to the French architecture and gardens and today is a popular destination due to its beautiful scenery and colorful ethnic people. Sapa town is reached via a winding 40km road from the town of Lao Cai. The drive provides a taste of what is to come as the road winds its way up through lush rice-terraced valleys and breath-taking scenery passing several different minority villages along the way. The valleys surrounding Sapa are home to several of Vietnam’s 54 ethnic minority groups, each with their own distinctive dress, customs and dialects. These tribes can all be seen at the weekend market in Sapa town to trade with one another. Sapa has also become a destination for travelers seeking adventure for Vietnam travel. It is a staging point for trekking in the nearby valleys and for climbing Mount Fansipan, Vietnam's highest peak as well as motorcycle rides in to the wild hill country. Extended treks to visit villages of minority tribes are also available. 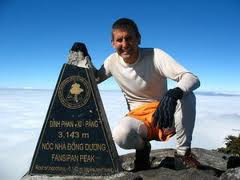 Indochina's highest peak, Mount Fansipan is only 9km from Sapa town and climbing to its summit is one of Asia's most challenging adventures. The trek takes visitors through tiny remote villages and areas of rainforest. Shorter treks are also very rewarding, and within just a few hours walkers can be in villages that have seen few foreigners. The hill-tribe peoples in this area of Vietnam wear colorful traditional dress as a matter of daily routine and all follow their traditional agricultural way of life which has remained unchanged for centuries. The various ethnic peoples are relatively easy to identify due to their attire. For example the H’mong wears dark clothing, usually blue or black. The dye is fashioned from the indigo or hemp plant that is native to the area. H’mong women wear long aprons with embroidered waistcoats and have their hair rolled up into a turban-like hat, whilst the men wear a black skullcap, long waistcoat and loose trousers. Another equally distinctive minority are the Dao (pronounced Zao). Dao women are particularly striking as they shave their hair and eyebrows and wear a large red turban often covered with old coins or jewelry.